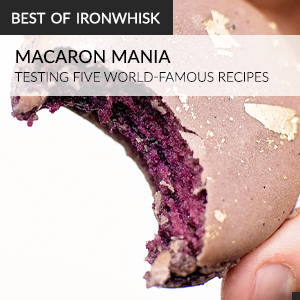 When I first wrote a recipe tutorial for French macarons in 2012, I couldn’t have imagined that, even to this day, it would be the most popular post on IronWhisk. Back then, the macaron craze was just gaining steam. Today, the almond-meringue cookies, which sandwich a ganache or jam filling, are ubiquitous. 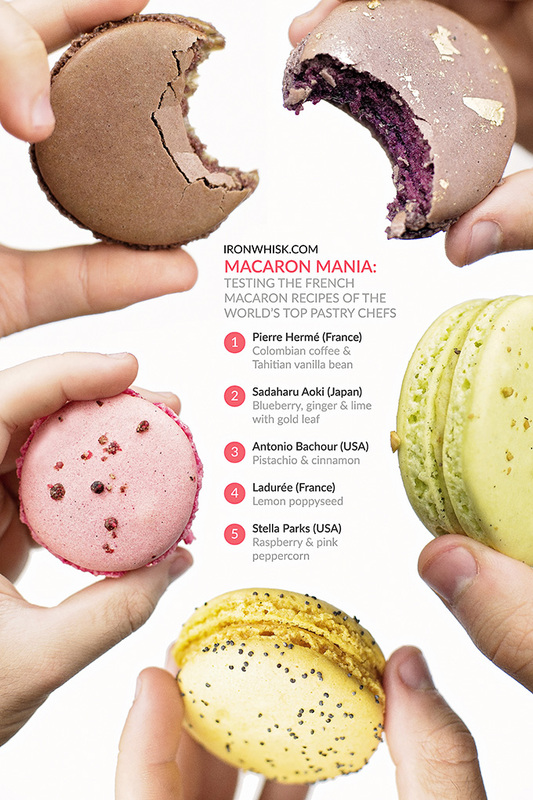 The macaron’s popularity means a plethora of surprisingly different recipes are available to play with. What, then, is the best way to make this famous cookie? Over the past few weeks, I have made it my mission to find out. After getting my hands on the formerly secret recipes of the world’s top pastry chefs, and baking dozens of batches and hundreds of macarons, my side-by-side tests and surveys provide the much-needed answers. When I visited legendary pastry chef Dominique Ansel’s eponymous bakery in New York a few weeks ago (I wrote about the adventure and the subsequent canelé experiments in my previous post), I managed to get my paws on a raspberry and lychee pavlova. One of the staff members had told me it was her favourite dessert in the pastry display case and, since it was also the most eye-catching one, I had to try it. 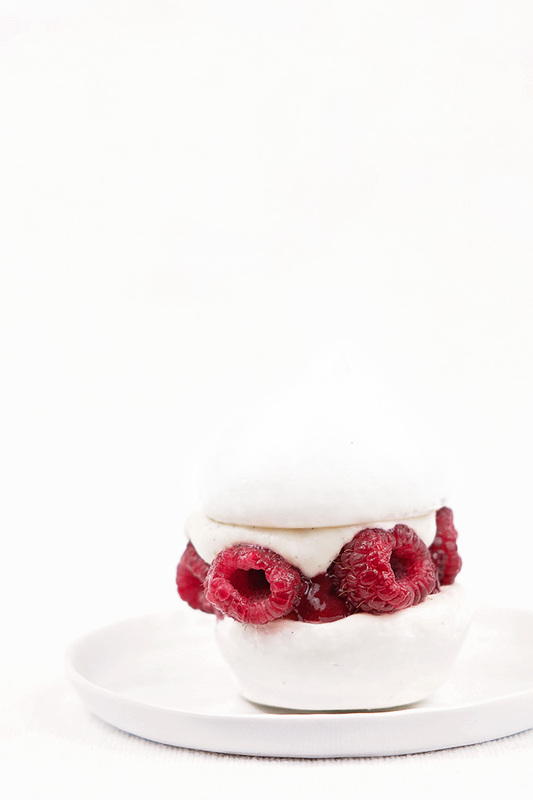 Ansel’s website describes the raspberry and lychee pavlova as “light-as-air lychee meringue filled with fresh raspberries, raspberry jam, mascarpone whipped ganache, and lychee whipped ganache.” The pastry was splendid; the meringue was crunchy on the outside but chewy on the inside, with just the lightest hints of lychee flavour. The ganaches complemented the raspberries wonderfully. On a recent trip to New York, I had the delightful opportunity to visit Dominique Ansel’s bakery. Ansel, who created the Cronut (a croissant-doughnut hybrid), is one of the world’s most acclaimed pastry chefs. The French-trained Ansel holds numerous awards, including a James Beard Award for Outstanding Pastry Chef. In 2017, he was named the World’s Best Pastry Chef by the World’s 50 Best Restaurants awards. The Daily Mail calls him “the most fêted pastry chef in the world.” Clearly, Ansel knows pastry. While the Cronut brought him fame in 2013 (TIME magazine even named the Cronut one of the “25 best inventions of 2013”), the employees I spoke to at Ansel’s eponymous pâtisserie were not particularly enthusiastic about the treat. 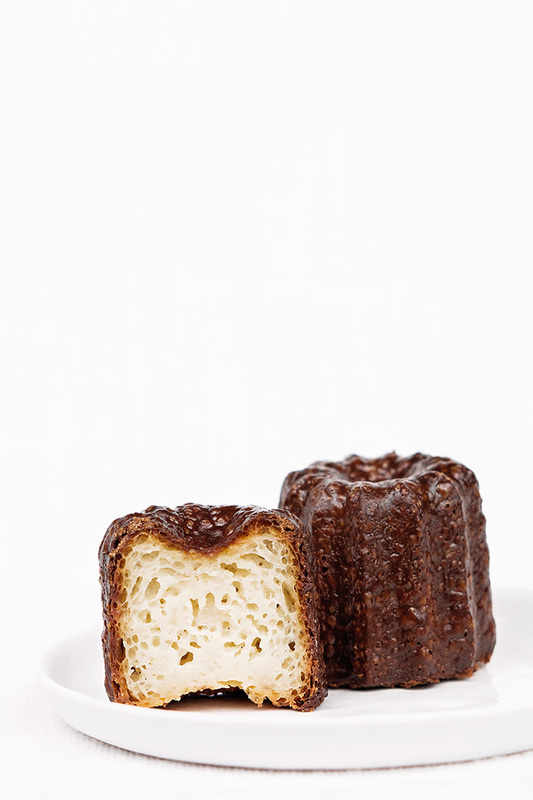 “We get lines around the block, before we open, to this day,” one staff member sighed, “but really I find them a bit too sweet for my liking.” Instead, I was pointed toward Ansel’s unassuming canelés. There, sitting between the cookies in a small glass display, beckoned the most complicated pastry made in France.